Few products are more linked to a territory than the mirabelle plum. This small, round and golden fruit is practically synonymous with the place where it is grown: the Baixo Miño and, specifically, the municipality of O Rosal. However, the journey of this sweet and special subspecies of the common plum is very long and not at all random. In fact, although it may seem like it, the mirabelle has not been in Galicia for as many years as it may seem. It is likely that the fruit originated in Asia Minor, although the place where it became better known was in Central Europe. This type of plum has been cultivated for many decades in the French region of Lorraine, of which it is also a symbol and where it is highly valued for its ability to sweeten all kinds of pastry preparations. In Nancy and in Metz, the main cities of the region, parties are celebrated to exalt it, proof of the importance it is given in the area. Popular therefore in Europe, the mirabelle arrived in Galicia in the thirties of the twentieth century. The first idea of ​​introduction is attributed to a mayor at the time, who would have had the plum tree brought in from the German Black Forest. In the middle of that decade O Rosal already had plantations that took advantage of the great adaptation of the plant to the climate at the mouth of the Miño river, mild and stable during most of the year. Parallel to these plantations also appeared small canneries, a solution to one of the main characteristics of the mirabelle: the short period in which it can be consumed fresh. In fact, the mirabelle can be eaten straight from the tree for basically a couple of weeks or a month, towards the end of July or the beginning of August. As seasonal fruit it is, therefore, quite an event, and few are those who resist tasting their tender meat while possible. However, mirabelle is a product that is specially good for being conserved through different preparations that make it possible to sample it throughout the year. Nowadays, the very traditional mirabel in syrup or marmalade have been joined by innovative and, at the same time, succulent proposals. It can be consumed, for example, in liquors or even as part of some beer formulas. Several of the best Galician chefs have experimented in recent times introducing quite varied recipes, from the most obvious desserts to the accompaniment of game meat or stews. Of reduced production, it is quite the luxury one can afford by buying it either in a visit to the area or through Internet stores. In Galicia, only the Ourense region of O Ribeiro produces this fruit as well. 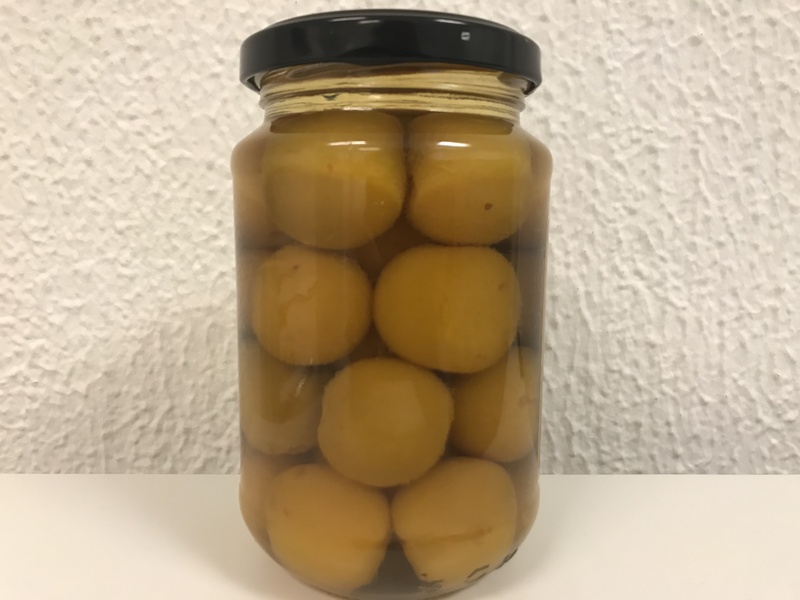 With its golden colour adorned with orange or reddish glazes, the mirabelle is one of the two outstanding products of this area in the south of Galicia. The other is wine, which also reaches worldwide level in the many wineries located in O Rosal and in the surrounding municipalities. The gastronomic is, therefore, one of the main reasons to visit this region, full of historical and natural attractions.